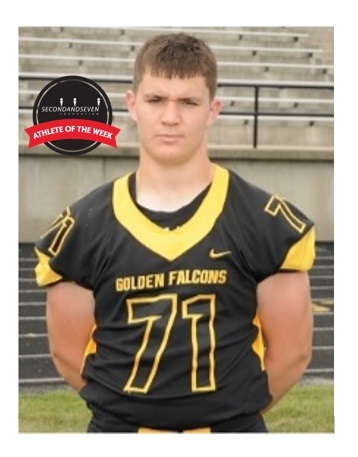 Collin Maynard, a sophomore at Franklin Heights High School in Columbus, is our student-athlete of the week. In addition to being a two year starter on the football team, he also participates in wrestling. Collin has volunteered with the 2nd & 7 outreach for two years. His coach states that “Collin is a role model for the students in our community and exemplifies what it means to be a leader. He currently holds a 4.24 GPA with a schedule that includes mostly accelerated and advanced placement classes”.